Alvin J. Boutte Sr., cofounder and past chairman and CEO of Independence Bank (at one time America’s largest black-owned bank), was born in Lake Charles, Louisiana on October 10, 1929. He was the youngest of 10 children. His mother Adorea Darensbourg Boutte was a seamstress, and his father Arthur Boutte was a gardener. A child of the Great Depression, Boutte and his older siblings attended Sacred Heart elementary, junior, and high schools. He later attended Xavier University in New Orleans on a basketball scholarship. While at Xavier, he met his future wife, Barbara Gonzaque, who was a music major. Boutte created a number of businesses while at Xavier that served the needs of his fellow students. Two notable endeavors were a laundry pickup business and a payment collection business for male students. He earned an undergraduate degree in Pharmacy in 1951. During his tenure at Xavier, Boutte met several other ambitious and motivated young men who became friends; during one intense conversation, several of them decided to move to Chicago. Boutte entered the US Army, however, before moving to the city. He successfully completed Officer Candidate School where he attained the rank of Captain and was stationed in Germany. He was honorably discharged in 1955 and returned to the United States where he settled in Chicago with his family. By that point a number of friends and extended family members had also relocated to the city as part of the Great Migration that brought tens of thousands of Southern blacks to the city between 1915 and 1970. Boutte opened and operated a drugstore which quickly grew into a chain of stores across the black neighborhoods of the city. 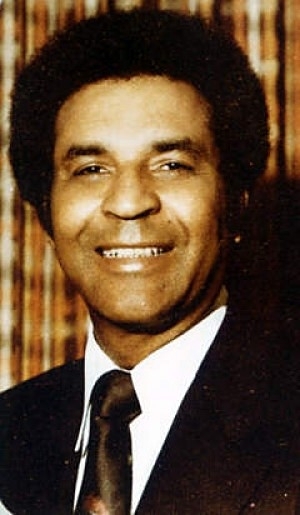 In 1964, Boutte, now a successful businessman, joined fellow black business leaders George Johnson, whose Johnson Products Company (manufacturer of Ultra Sheen and Afro Sheen) was the largest black cosmetics company in the nation, and John Johnson (no relation), whose Ebony Magazine was the largest black-owned periodical in the country. The three men established Independence Bank. This institution grew to be the nation’s largest black-owned bank in 1988 when it acquired Drexel National Bank, another South Side Chicago black bank. In 1995, however, Independence Bank had fallen on hard times and was sold to white-owned ShoreBank. When the civil rights movement came north to Chicago in 1966 with the arrival of Dr. Martin Luther King, Boutte and other black businessmen began financially supporting King and his organization, the Southern Christian leadership Conference. Boutte organized a group of Chicago black businessmen who raised $55,000 to finance King’s work. He argued that he and other businessmen could provide crucial financial assistance to help the thousands of protestors who took to the streets to demand an end to segregation and racial discrimination in Chicago. During his lifetime, Boutte served on the boards of directors for several organizations including, most notably, twenty years on the board of The Chicago Metropolitan Insurance Company. He also served as advisor to the Small Business Administration, and was an elected member of the Chicago Board of Education. In 1971, Boutte was honored as man of the year by the Chicago Urban League. He was the recipient of several other honors and tributes in his later years. Alvin Boutte died at his home in Hazel Crest, Illinois on April 1, 2012. He was 82 years old. Danielle Wright, “Business Leader Alvin Boutte Sr. Has Died,” BET News, April 3, 2012; Meredith Rizzo, “Alvin Boutte Sr., Dies at 82,” The Root, April 3, 2012. Meredith Rizzo, “Alvin Boutte Sr., Dies at 82,” The Root, April 3, 2012.